I am writing a feature-length screenplay set in Victorian England about a servant of a manor trying to bring her mother’s fairy tales to life to escape her homesickness. However, I soon realized that writing this screenplay based solely on internet articles and my love of the BBC series Downton Abbey was not going to provide the research necessary to create an authentic setting and a believable, nuanced character. For this reason, I applied for an ORCA grant to attend a six-week study abroad program with the Theater and Media Arts department so that I could gather on-site research. I went to London on the Theater and Media Arts study abroad and participated in all planned activities. The most important sources of my research were the sites of Ham House, and the Handel/Hendrix House. I listened closely to the docents, asked them questions and follow-up questions, snapped as many pictures as possible, jotted down notes on my phone, and took small pamphlets or bought books. One of the most important purchases I made was a souvenir guide to Ham House and Garden, which includes a floor plan of the layout of Ham House and the history and purpose behind each room. I also asked docents about any paranormal stories or experiences they may have had pertaining to the house. While the screenplay I am writing is based fairy tales rather than ghost stories, I believe that understanding the superstitions and culture behind a setting are just as important as understanding the layout of the place. Not only will I be able to create a believable and historically accurate narrative, but I’ll also be able to hone in on the cultural atmosphere of these locations. I found that, as expected, servants’ lives were rather hectic, uncomfortable, and unprofitable. Servants lived in small quarters, with a hierarchy of their own, and were paid tiny sums per annum for their work. While at Ham House, I learned that when the family was not residing in the estate during certain months of the year, fewer servants were employed at the manor. 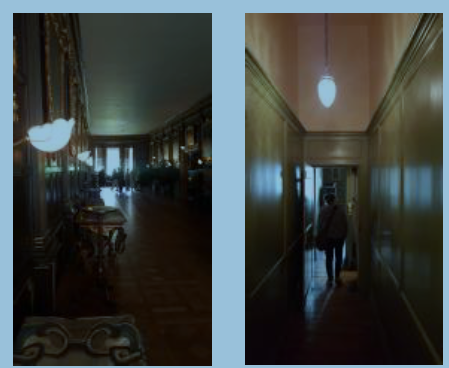 Servants were to be nearly invisible, so in order to accommodate this, manors were built with hidden hallways designed for servants to quickly navigate the home without barging into guest rooms or family parlors. Servants often had close ties to one another since they resided in the same home, dined together, and spent hours working side-by-side. Many docents spoke of a specific haunting regarding a young footman who committed suicide by jumping from one of the balconies after a relationship with one of the maids did not work out how he had hoped. Only the higher classes were educated musically and had the privilege of learning how to play instruments like the harpsichord or the pianoforte. The lower classes would not have had the time or the resources to teach their children music. A career in music required musicians to travel a great deal, which was extraordinary considering how difficult travel could be. When visiting Handel’s home, docents spoke of how Handel’s family discouraged him from having a musical career, so Handel’s aunt smuggled a spinet into the attic of the house so that Handel could practice secretly. I would like my characters to be servants of a British manor similar to Ham House in the 1850s during a time when the family who owns the estate is living elsewhere. When the family lives at the estate, life is much more hectic for the servants and more servants are employed. I would like my protagonist, Elise, to feel like she is in an empty and exposed environment. It is quiet, but there is no way for her to go unnoticed in the hustle and bustle of other servants doing their many jobs. My trip to London helped me determine the precise setting for my screenplay and the social status and employment of my protagonist. Walking in the spacious rooms of the British manors and squeezing through the tiny halls of used by servants to navigate the homes more quickly provided me with actual memories of the kind of environment my characters inhabit. This research trip was integral to my understanding of the culture of British servitude and music.